Our guests on Morning Line, Anthony Caole and Richard Perry are from the Alaska Region Training and Technical Assistance Center. 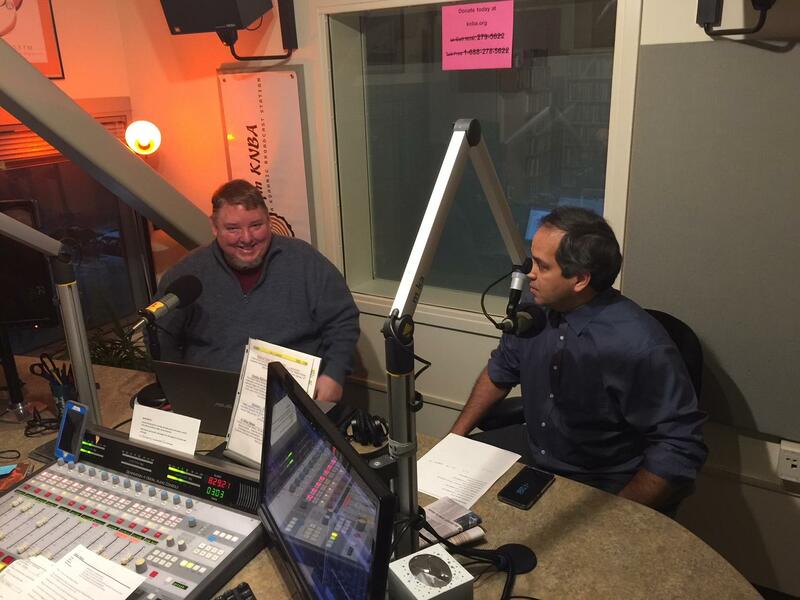 Richard Perry and Anthony Caole of the Alaska Region Training and Technical Assistance Center visit KNBA's studios in early January, 2018.
and American Indian organizations connect to funding from the federal government's Administration for Native Americans - a process that includes many steps. Perry says the next training is in Fairbanks January15-16, with another in Ketchikan January 18th and 19th, and January 29th and 30th in Anchorage. As our guests on Morning Line Anthony Caole and Richard Perry say, the next trainings are in Fairbanks, January 15th &16th, Ketchikan January 18th and 19th and the 29th and 30th in Anchorage. The Administration for Native Americans is a Federal agency - and in Alaska, has more than 20 projects it's funding with grants. Our guests on Morning Line today, Anthony Caole and Richard Perry, representing ANA's Tribal/Technical Assistance Centers program - also known as TTAC. The Alaska Region has a pair of training opportunities available next month - one in Ketchikan and one in Anchorage.